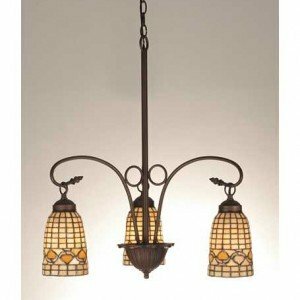 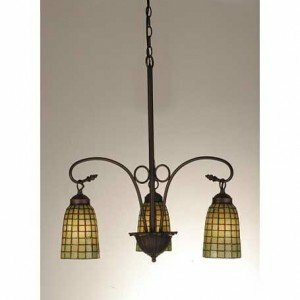 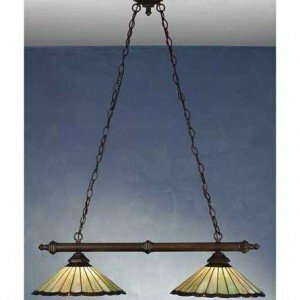 With graceful curved arms constructed with hand-finished mahogany bronze, this very delicate and attractive Tiffany-style hanging lamp is the perfect choice for adding subtle lighting and ambiance to your home. 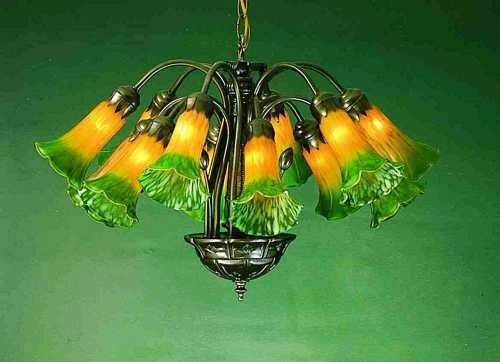 The lily motif is very typical of the turn-of-the-century Favrile design, and can hang beautifully in a dining room or master bedroom. 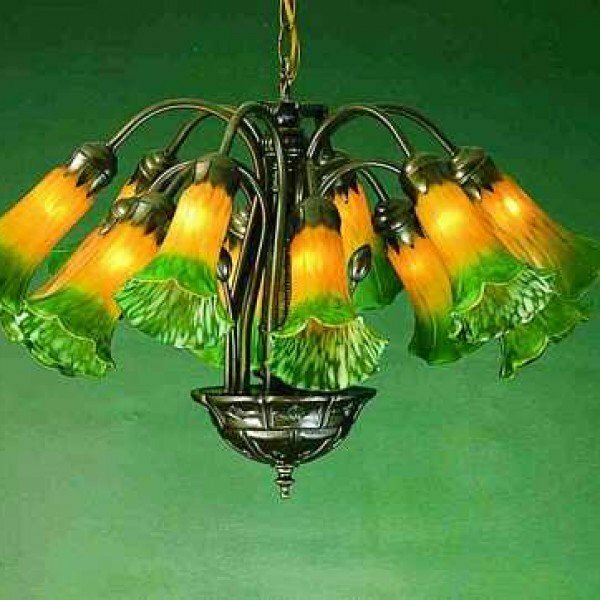 The 12 mouth-blown lily shades start out in a rich amber shade and billow out to a gorgeous green blossom at the ends. 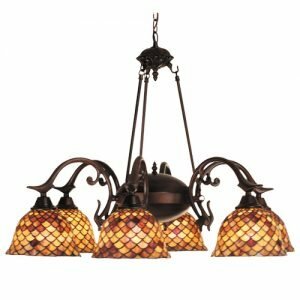 Sure to cast a warm glow to any room of the home, this lamp will complement classic and traditional d├ęcor or serve as a stylistic accent in a modern decorated home.